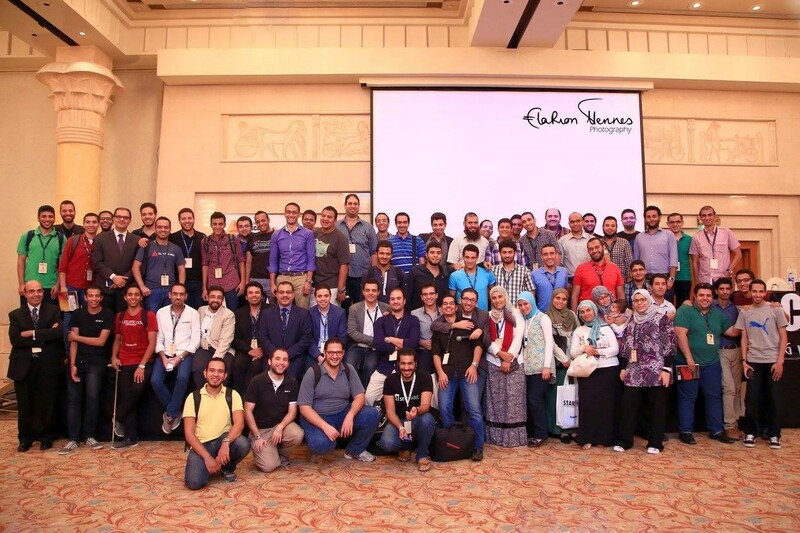 As many specialists in the security world know – the Cairo Security Camp is one of the biggest security conferences in the Middle East and North Africa (MENA Region). This year it was once again held in Intercontinental City Stars. Every year the conference gets bigger and bigger, bringing in more and more people and companies from all over the world. After 5 years of holding CSCAMP, The fifth version of CSCAMP2015 was a little bit different. This year we increased the activities to include Panel Discussion: Egypt Better Future: Search for the Young Talents , announcing new generation of courses named after CSX Cyber Security Nexus, Security awards and others, beside two conference rooms: one of them is only for workshops and the other for different security topics. 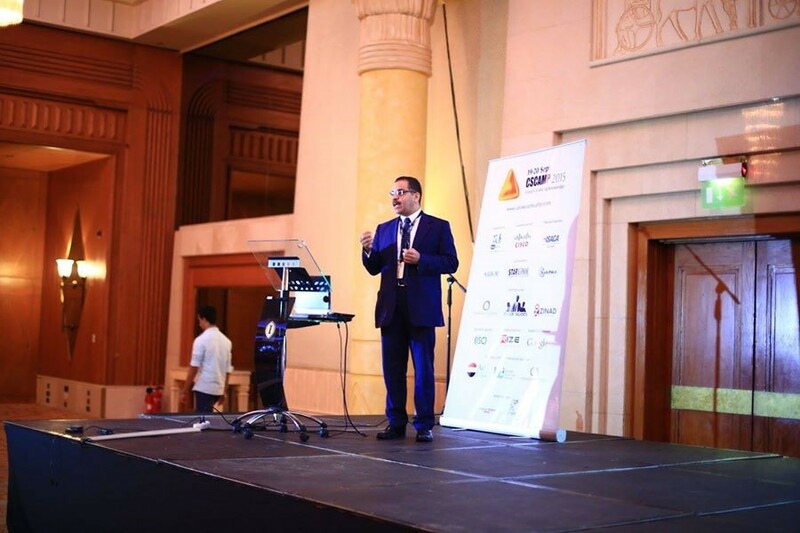 Cairo Security Camp was held this year on Septemper 19 and 20 and it brought the industry together for an exciting two days filled with discussions on latest threats and solutions to industry-wide issues. There top-notch talks spread across two tracks, ranging from in-depth analysis of technical topics to professional development and skill enhancement presentations. A set of the remarkable sessions in advanced topics and case studies were presented one of them was presented by Adel Abdelmoneim, ITU/RCC Cyber Security Expert, discussing ITU 5 pillars model to develop NCS strategy. In addition to demonstrating some of the important concepts such as IT-assets, Risk Management, Information Assurance , Business continuity and disaster recovery . Also a unique session was presented by Major. Mostafa Khidr from Ministry of Interior giving an introduction about the role and efforts of ministry of interior in fighting cybercrimes in Egypt , case studies about real cybercrimes and much more. Another Advanced session was about Extreme logging which was covered by Osama kamal scaling out your logging infrastructure to handle huge volumes that traditional tools cannot handle anymore, showing best practice, tools, and designs, all based on real life experience. The workshop room in the first day also was present by Mr.Ahmed Riad who was with us on conference video and Mr.waleed Yasser as well. Both introduce the concept of Business continuity, implementation and OVERVIEW OF THE BCI GOOD PRACTICE GUIDELINES LIFECYCLE. A new set of sessions was newly introduced during this year conference named after “Tech Talk “ and it was about having 5 minutes to share your thoughts with the community . We also introduced a group of Egyptian Cyber Security Professionals who managed to be a part of a number of a prestigious leading security firms to have a great discussion panels named after : Egypt Better Future : Search for the Young Talents. The discussion was addressing the skills and education required to get hired in an international security company. What are their daily jobs and the challenges they face to get hired? What are their advices to the new generation of Cyber Security Professionals? Also, the discussion was producing ideas and suggestions to improve the Egyptian Cyber Security industry and how to use the most important asset in Egypt which is human capacity. Next year, expect more of the same – high quality, engaging talks from up-and-coming security leaders. You should put CSCAMP on your must-see list of security conferences.